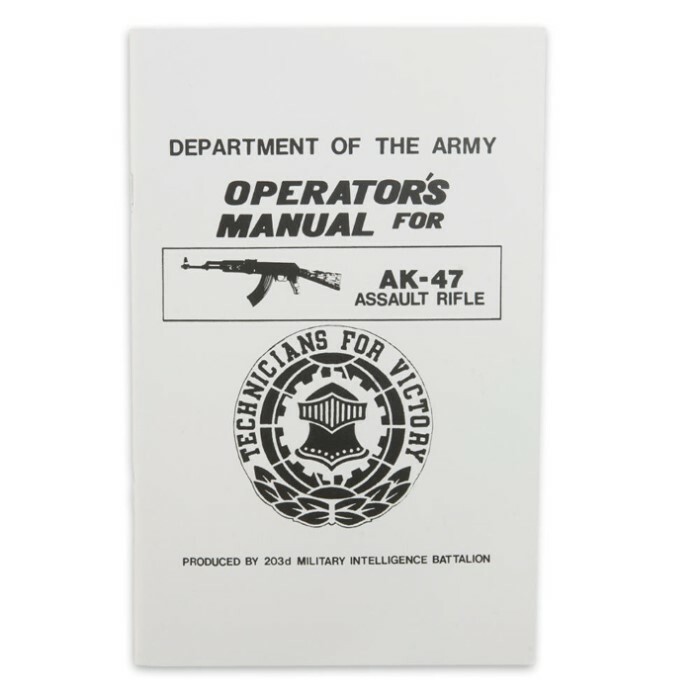 Operators AK-47 Assault Rifle Manual | BUDK.com - Knives & Swords At The Lowest Prices! This reprinted Army Operator's Manual for the AK-47 Assault Rifle covers everything you need to know about your AK-47. Each paperback manual has detailed diagrams and illustrations. 39pp. This is a great manual to have if you have an AK 47. All the AK 47s I've seen don't come with a manual for taking them apart and cleaning. This is great to have and a great price. Everything you need to maintain the AK47.